Motorcyclist Sean Linder awaits instruction Saturday, April 15, 2017. 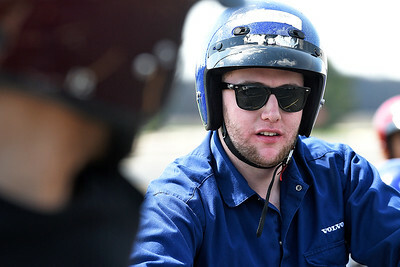 He was one of about 20 students who attended a motorcycle safety class held at McHenry County College. 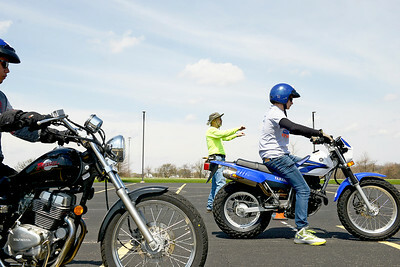 Rider Coach Mark Wilson instructs students how to start their motorcycles during a course Saturday, April 15, 2017, held at McHenry County College. Wilson instructs motorcycle courses for Harper College and travels around Lake, Cook, McHenry and other surrounding counties teaching riding classes throughout the summer. 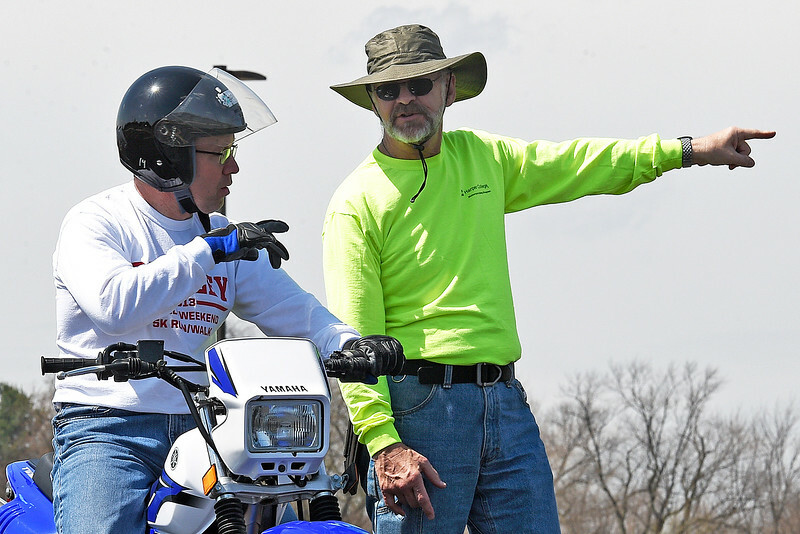 Rider Coach Mark Wilson explains a riding exercise to Jerry Niederman Saturday, April 15, 2017, during a motorcycle course held at McHenry County College. 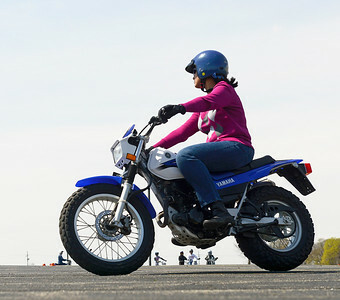 Motorcyclist Lakshmi Mahindrakar (cq) practices turning during a riding exercise Saturday, April 15, 2017.